Orcas Island is the largest of the San Juan Islands, which are located in the northwestern corner of Washington state in San Juan County, Washington, United States.Mount Constitution (elevation 2409 feet - 734 meters) is the highest point in the San Juan islands. 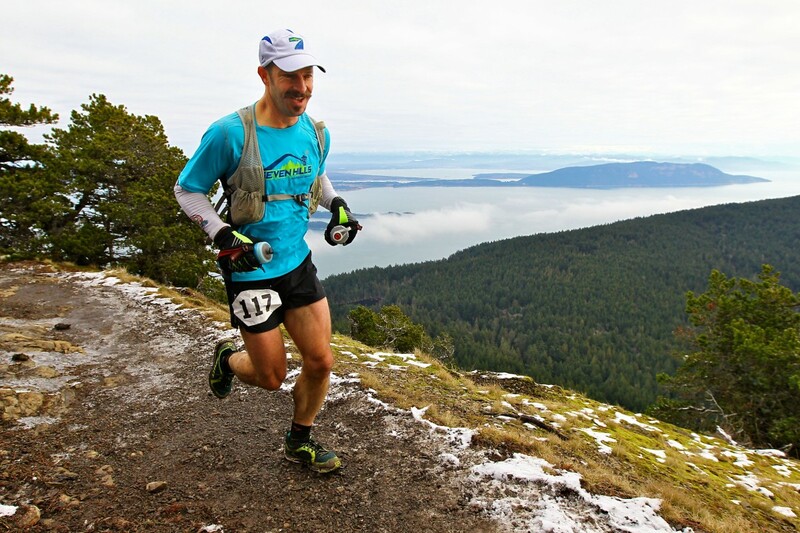 The mountain is part of Moran State Park, the largest public recreation area in the San Juan Islands. Moran State Park encompasses over 5,000 acres of woodland and has several lakes and numerous waterfalls. The park was given to the Island. 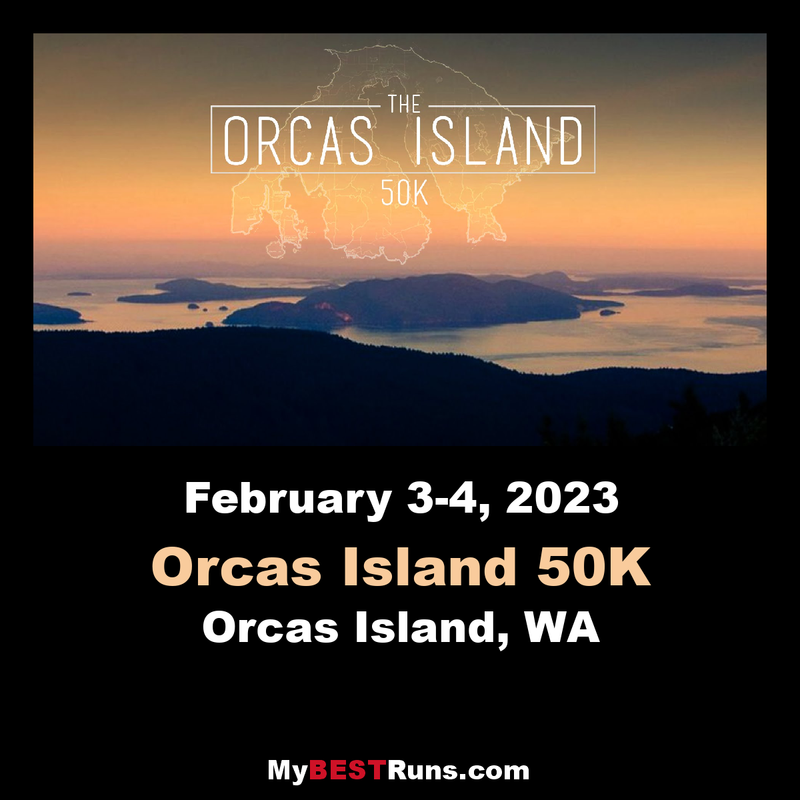 The Orcas Island 50k is unique in the trail running world, with old-growth forests, tough climbs, and spectacular views of surrounding islands, mountains, and Puget Sound, but what truly sets it apart is the chance to hang out all weekend on a gorgeous island with your trail runner friends. These are the oldest of all the Rainshadow running races. 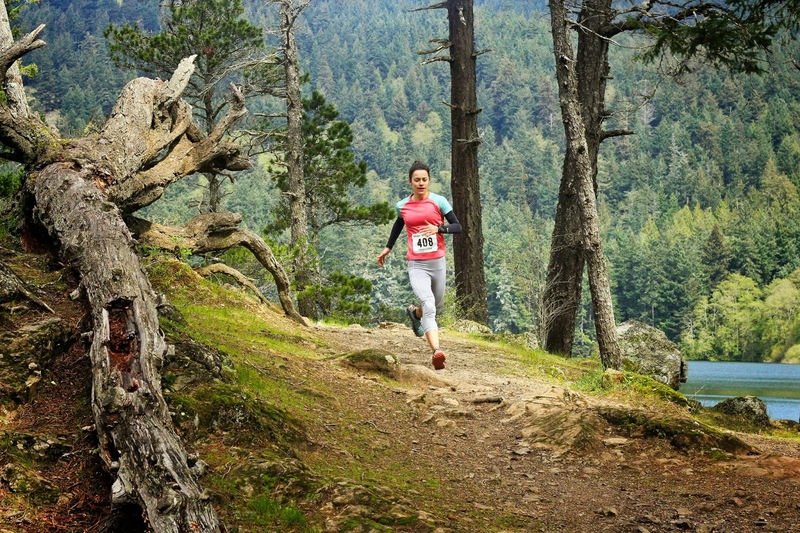 Races that will leave you wondering: Why run anywhere else? 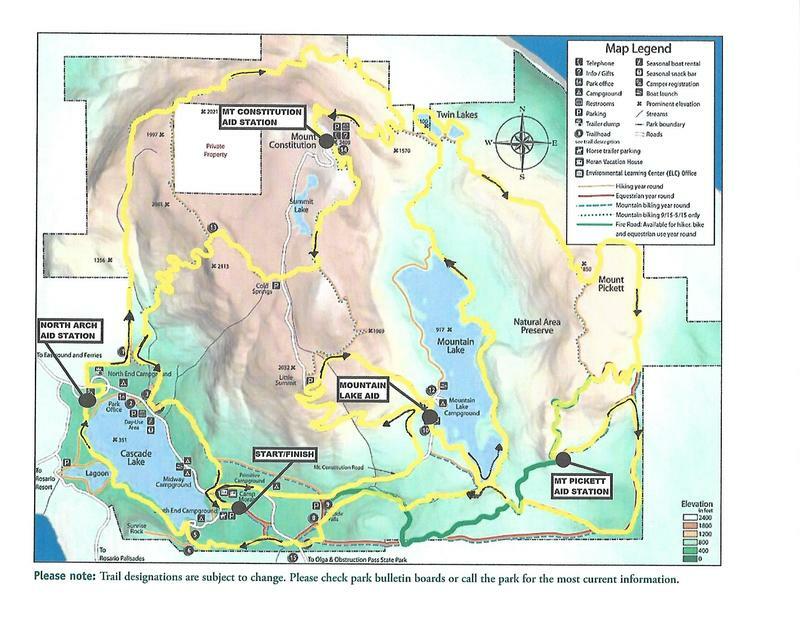 There is camping in Moran State Park and it is all first come/first served. There is NO CAMPING, including car camping at the start/finish area. Moran State Park has a retreat center that Rainshadow will rent out for the weekend. The bunkhouses are heated, but anyone staying there will need to bring bedding (sheets, sleeping bags, pillows, fuzzy bunny slippers, etc. ), and anything else you might want for the weekend. Anyone staying in the bunkhouses should also bring a headlamp, or two, as being able to see where you're going in the pitch dark is highly recommended. The Rosario Resort & Spa is the closest hotel, within a couple miles of the race start. There are hotels in nearby Eastsound as well as numerous Airbnb options. Doe Bay Resort and Retreat is a short 5-10 minute drive from Moran State Park and offers tent camping, cabins, and year-round yurts. Aid stations always feature plenty of water, potato chips, PB&J, fresh fruit (oranges, bananas, grapes), chocolate/candy, GU gels and GU Brew, tortillas for gluten-free folks, and tasty Trail Butter inside those tortillas. We'll also have Coke and Ginger Ale. You can also pack your preferred calories in drop bags, and/or carry them with you along the course. Every male and female race winner receives a one-of-a-kind race print, and a hand-etched growler. You will need a DISCOVER PASS to park in Moran State Park. You can buy an annual pass for $30 via this link: discoverpass.wa.gov/ or you can buy a day pass for $10 at the Cascade Lake day use area on the island.